All-inclusive meals and sports included. Located a 10-minute walk from the picturesque town of Whitney and only 5 kms from the breathtaking and beautiful Algonquin Park. An exclusive lodge retreat for couples, adults, and pets! Disappear to a quiet place to connect & discover! 3 authentic log cabins with real wood fireplace. 6 grand log cottages with real wood fireplace & double jacuzzi. Horseback riding. FREE Algonquin Park Pass for the hiking trails and museums. Free canoes/kayaks & winter snowshoes. Pets: All pets are required to check-in at the Front Desk at Adventure Lodge upon arrival at the property, NO FEES if you follow the rules! To ensure the safety and happiness of all our guests we have instituted certain policies and procedures regarding your pet to be followed during your entire stay with us. Please see our pet policy at www.adventurelodge.com/pet-policy/ or contact us for details. We invite you and your pet to unwind, relax, reconnect and rejuvenate in comfort and luxury at our small 4 seasons housekeeping cottage resort on peaceful Purdy lake which is located between Bancroft (46 KM) and Barry's Bay (23 KM) on the quieter, east side of Ontario's Algonquin Park. Only 6 housekeeping cottages on 20 acres with 1,500 of lake frontage. Pets: All cottages are now pet friendly year round. No extra charge for pets. Dogs and cats are welcome (other pets require approval). You must clean up after your pets, indoors and outdoors, and pets must be leashed and not left unattended for prolonged periods. See our website for complete details. Experience Algonquin looking across Bark Lake from your front window. Sunny Hill Resort is located on the east shore of Bark Lake - traveling by road it will take you 30 minutes to enter the wonders of Algonquin Park from the East Gate. We offer an indoor saltwater pool and hot tub, free wireless internet, fully furnished cottage rentals and full service RV camping. Bark Lake has excellent fishing and is approximately 42km long. We also rent fishing boats and canoes. Pets: Pets welcome in designated units. All pets leashed or indoors at all times - no swimming at people beach - bring covers for furniture unless carrier-trained. Do not leave pets alone in units. Deer Park Lodge, nestled on five acres adjoining our private pristine stretch of lakeshore beach, charming cottages and a front row seat to some of the most beautiful sunsets in the world. Located on Lake Huron, we are 2 1/2 hours from Toronto, 50 minutes from London, 1 hour from Sarnia and Port Huron. Tyrolean Village Resorts is nestled at the base of Blue Mountain, 90 minutes north of Toronto, 10 minutes from Collingwood and close to the shores of Georgian Bay. An area renowned for its golfing, hiking, biking, fishing and, of course, skiing. All New Just For You! The Comfort Inn Cambridge has renovated the front desk, lobby area and added a breakfast room which offers a complimentary hot breakfast. All bedrooms have new bedding, vinyl, carpet, drapes and the bathrooms have new tile and vanity. This hotel is 100% smoke free. Ground floor rooms have patio door access. Come visit Pine Cliff Resort, a four-season resort on the banks of the beautiful Madawaska River at Kamaniskeg Lake. We offer two, three and four bedroom cottages with complete kitchen & sleeping facilities for 2 to 10 people. Pets: Pets must be on a leash + cleaned up after. Please note that pets are not allowed on the beach. Note: Property has resident pets. Come to the peaceful shores of Tomiko Lake where Okimot Lodge was established 50 years ago. We are located just 40 miles north west of North Bay. Each of our fully equipped cottages is right on one of the finest natural sandy beaches in the area providing a spectacular view and an ideal site for those evening campfires. Pets: One pet per cottage is permitted but must be mentioned at the time of reservation. Please note that there is a charge of $20.00 per pet and week or $4.00 per pet and day. All pets must be on a leash while on the property of OKIMOT LODGE and must not disturb and/or frighten our other guests. Please come prepared to clean up after your pet. Note: Property has resident pets. Our hotel is conveniently located near the QEW. Situated on Lake Erie, just 7 minutes from Buffalo (Border / Peace Bridge), and 22 minutes from Niagara Falls. We offer ample free parking, free WiFi, a 24-hour business centre, on-site Freeland's Restaurant, fitness centre, and an indoor pool & whirlpool. We are a non-smoking hotel. Colonial Resort & Spa is a full service property situated on 10 landscaped acres in the quaint town of Gananoque. We specialize in motorcoach groups, meetings and reunions in addition to being a family vacation centre. We offer 1000 Islands Getaway Packages to individuals and families including cruise and casino, kayaking, theatre, helicopter tour, romantic retreat, spa packages and more! Georgian Bay Beach Club offers 10 new beach houses on 3 acres, with fabulous sandy beach and crystal clear water. Private cottages offer magnificent views of Georgian Bay and the Blue Mountains. You and your pet will love it here. Located just 15 minutes drive from Goderich, Deer Park Lodge is nestled on five acres adjoining a pristine stretch of lakeshore beach, charming cottages and a front row seat to some of the most beautiful sunsets in the world. Located on Lake Huron we are 2 1/2 hours from Toronto, 50 minutes from London, 1 hour from Sarnia and Port Huron. Your Grand Bend, Lake Huron experience begins with the warmth and hospitality of our Bavarian Inn. The Pine Dale Motor Inn is located on Hwy. 21 just 2 blocks south of the main intersection. We offer 41 spacious rooms on beautiful treed grounds backing onto the Old Ausable River. Just 7 kilometers from the Pinery Provincial Park, which has it's own dog beach. Come to the Pine Dale where we treat you like family . Deer Park Lodge, nestled on five acres adjoining a pristine stretch of lakeshore beach, charming cottages and a front row seat to some of the most beautiful sunsets in the world. Located in Bayfield on Lake Huron, we are near Grand Bend, 2 1/2 hours from Toronto, 50 minutes from London, 1 hour from Sarnia and Port Huron. The Super 8 Motel in Grimsby is located in the heart of the Niagara Wine Country, adjacent to Lake Ontario. We are within a 40-minute drive to the excitement of Casino Niagara as well as the roar of Niagara Falls itself. Enjoy your stay in one of our 60, CAA/AAA 3 diamond guest rooms and suites. Welcome to the newly renovated Comfort Inn, a Hamilton hotel conveniently situated to Stoney Creek. The Comfort Inn hotel, with easy access off the Queen Elizabeth Way and Redhill Valley Parkway, is conveniently located less than one mile from Confederation Park, an adventure park located on the shores of Lake Ontario. Located minutes from Stoney Creek, Copps Coliseum, Hamilton Place theater and the Hamilton Convention Center, and ideally situated halfway between Niagara Falls and Toronto. Easy Access from the Red Hill Expressway or QEW close to several restaurants and shopping malls. Hotel offers free Hot Breakfast. Pets: A credit card and driver's license are required at check-in. Pet fee of $15.00 + tax per night, per pet. Maximum of 2 pets allowed. Pets must be booked in a downstairs room - please verify with the hotel that a pet-friendly room is booked. 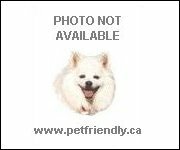 This section of our website features pet-friendly hotels & accommodation in Ontario. Browse our site to find more 'pets allowed' and dog-friendly hotels and accommodations in Canada, including motels, cottages, resorts, inns, B&Bs, vacation homes, and more... or search for Ontario dog parks and beaches! You can also search for Ontario pet and dog-friendly attractions, activities, and places.